With an average monthly sale of 13,800 units*, the Toyota Fortuner has been the most popular full-size SUV in the mainstream car market. It's big, it's bold, and feels sufficiently premium, which leads to high street cred. This modified example, however, takes things to another level. 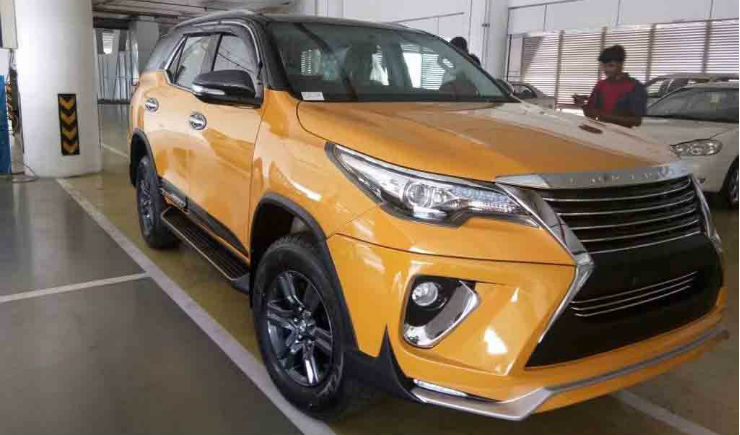 While yellow hasn't ever been a colour that can be associated with masculinity, the dual tone yellow-black paint scheme and a Lexus-like front-end makes the Fortuner weirdly desirable. Other highlights of the mod job include blacked-out alloy wheels and a custom rear roof spoiler. 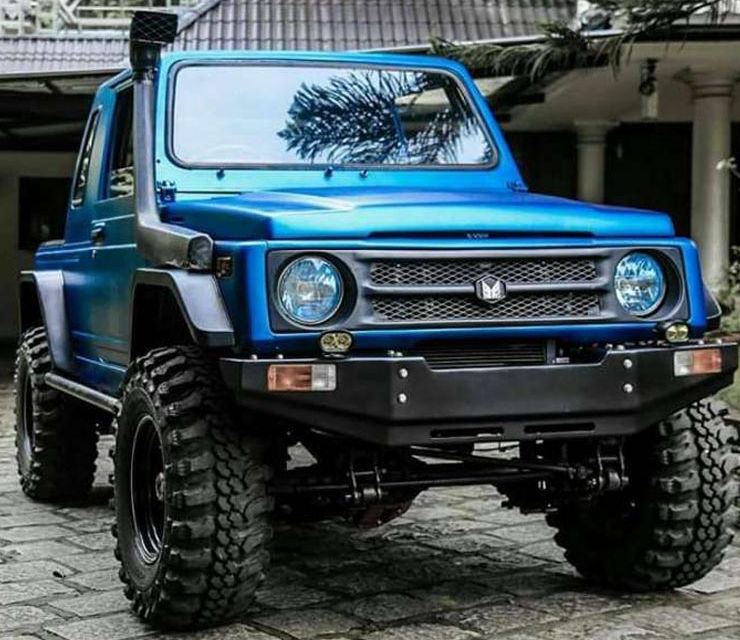 This customisation is the work of a Kerala-based Toyota dealer. With a monthly sales average of 506 units*, the Ford Endeavour hasn't been as popular as the Toyota Fortuner but easily rubs shoulders with its more popular adversary in terms of street cred. 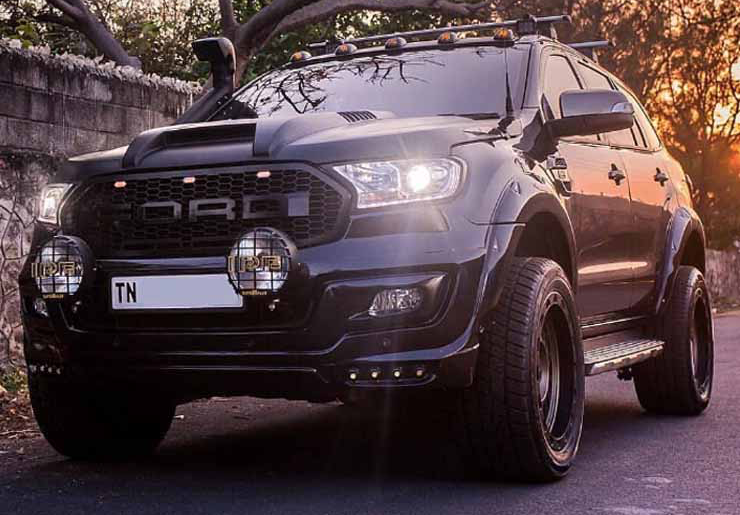 The butch looks, high ground clearance and a slight resemblance with the Ford F150 Raptor's front-end have always worked in favour of this large SUV. The modified Endeavour that you can see above looks even meaner. The front-end is characterised by a set of low-mounted LED DRLs, bumper-mounted aux lamps, a honeycomb mesh grille, and a faux hood scoop. 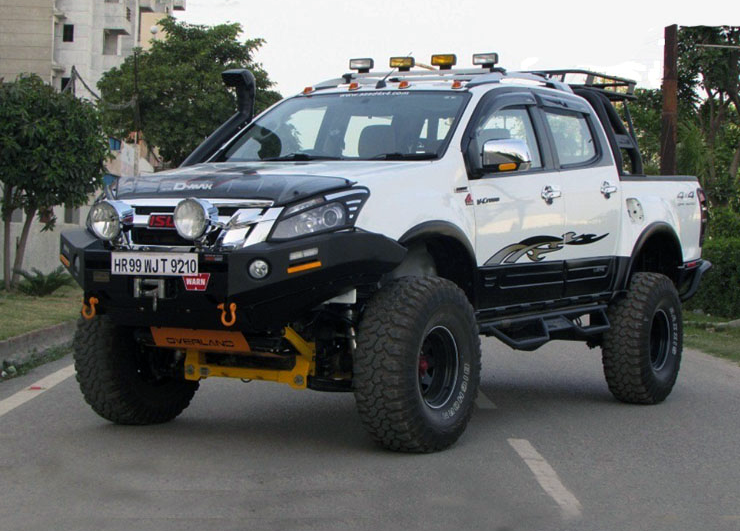 Additionally, the modified Ford Endeavour rides on massive wheels that lead to an even more aggressive stance. Other modifications include warning lamps positioned above the front windscreen and a snorkel for enhancing the off-road capabilities. First launched in December 1985, the Maruti Gypsy has finally reached the end of its career. In spite of being a thoroughly dated product, the Gypsy enjoys its share of fans, who, more often than not, prep their SUVs to enhance the street presence. One such modified Gypsy is the pearlescent blue example you see above. Of course, the highlight of this mod-job is a new set of wheels shod with huge off-road spec tires. The wider track and the higher ground clearance make this Gypsy look like a thoroughbred off-roader. Other updates include an off-road-spec metal bumper, a custom hard top and a snorkel. With an average monthly sale of 6,445 units*, the Mahindra Bolero is the highest selling UV in India. Armed with a rugged design and optional 4WD hardware, the Bolero is often the choice of 'daily off-roading' drivers who need a sturdy as well as an easy-to-maintain SUV. 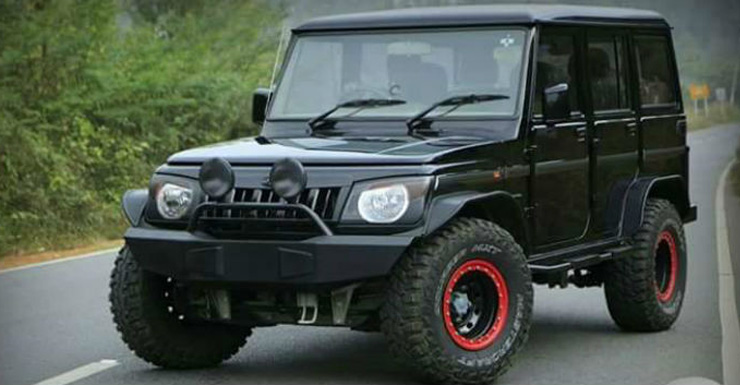 The modified Mahindra Bolero seen above features a handful of minor updates that make it look meaner. Much of this can be attributed to the all-black paint scheme and the red-painted rim lips. The stock bumper has been replaced with a custom unit that holds a pair of auxiliary lamps. Until now, the Isuzu D-Max V-Cross has been the most popular dual-cab pick-up in India. Even in its stock form, the V-Cross is high on street cred, but the modified example seen above offers a lot more oomph. The new set of wheels that come draped in huge tires, along with a reworked suspension, give this V-Cross a really aggressive stance and an almost monster truck-like appearance. Other modifications include an off-road-spec metal bumper with a pair of aux lamps, a bug screen, and custom lighting. A snorkel and a couple of two hooks complete the go-anywhere look. The Mahindra Thar (average monthly sale between August-November 2018 - 577 units) is the only lifestyle SUV in its category that enjoys a steady demand. There have been many customised versions of the Thar, but the one you see above entirely takes the cake. Done up by Punjab-based Sarbloh Motors, this modified Thar debuted at the recently held Autocar Performance Show 2018. 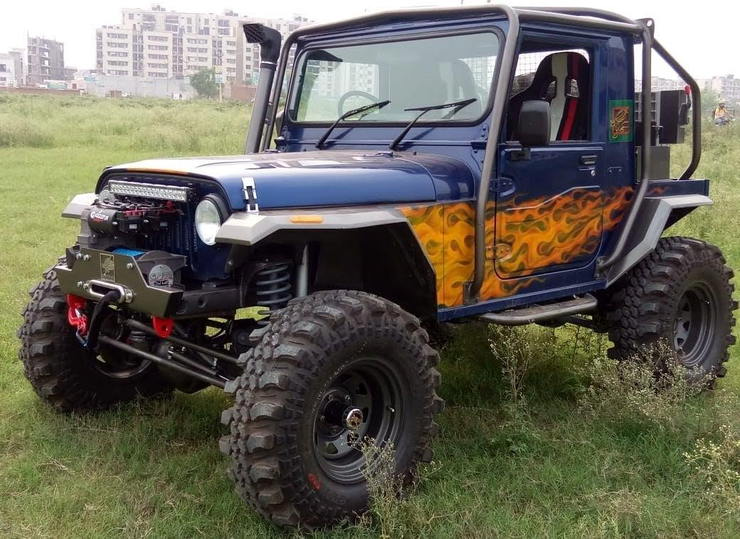 Dubbed as the Thar Draco, this modified example sports a metallic blue exterior paint with 'flame' graphics on the hood, front fenders, and doors. The large wheels shod with off-road tires lead to an aggressive stance, while the custom bumper carries two red tow-hooks and an electric winch. Highlights of the side profile include an exterior roll cage and a plastic snorkel while other customisations include high-placed custom rear fenders and a custom rear bumper.